1. 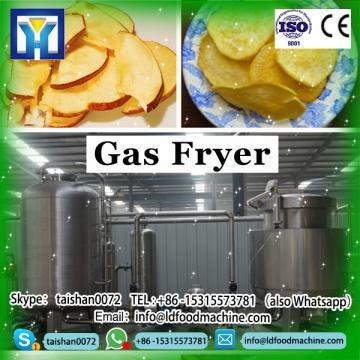 Usual time, the gas fryer’s gas consumption is 6 kg per hour ,our gas fryer’s gas consumption is only 4.5 kg per hour is enough . 2. Our gas fryer has the functions as fellows : Mixing function , cycle filtering function , automatic out-let function , automatic temperature controlling function , Automatic turning over function . 3. The heating-up time is short . Just need 30 minutes , the temperature can rise to 170℃ . 4. The six way of fire is controlled separately . 5. The emergency design . When the power off suddenly ,our gas fryer is equipped with manual out-let equipment . 6. Our gas fryer’s automatic mixing function , is showed as fellows , not only transverse mixing function ,vertical mixing function , but also can be mixed from left to right direction , so the fryed products’ color is uniform from the gas fryer . 1 Are you manufacturer ? 2 Can you change the machine voltage as our request? 3 How about your after-sale service? 4 Warranty time of your machine? 5 How about delivery time of your machine? Automatic stainless steel frying machine,continuous fryer,gas fryer have thermostatic temperature control in the temperature range. A safety thermostat and drainage tap to make it easier to clean the machine.Gas fryer:Cast iron burners.Automatic burner ignition by means of an electromagnetic valve,with pilot light and thermocouple. We are a professional western kitchen facility company which mainly specialize in Gas fryer,and we also agent many famous brand kitchen facilities, tableware and other hotel equipment, and all our products selling with wholesale price. our Automatic stainless steel frying machine,continuous fryer,gas fryer including western kitchen equipment series and refrigeration series, for instance,Gas fryer ice maker, ice cream machine, dish washer, popcorn machine , coffee machine, fruit juicer , oven, buffet stove, display warmer,and so on.